The Government depends on the private sector for top-quality products, services, and solutions to meet their critical missions. Evermay Consulting Group helps the private sector effectively and efficiently deliver solutions to the Department of Homeland Security and other Federal agencies via the Government procurement process. For clients who seek our support in serving a new Federal agency or mission area, we can help you map your past performance, capabilities, and contracts into a working pipeline. Beyond the named programs available in public and subscription-based databases, we often have insights into evolving, and yet unpublished, requirements at departments, bureaus or programs. In the development of a strategic pipeline, we outline the prime and subcontracting opportunities, map out an optimal team composition, and create teaming partner call plans.  We can also help execute client call plans that consider three vital aspects: 1) mission/program, 2) technology, and 3) acquisition. This multi-pronged approach ensures no stakeholder or perspective is missed, and a holistic strategy developed. Once we qualify pursuit opportunities, our advisors continue to contribute vital insights and updates, throughout the process, through and past proposal submission. Many of Evermay’s clients are already established in an agency or mission area. Beyond supporting your growth strategies (see above for details), we provide insights on retaining current work, emerging acquisition trends impacting recompetes, changes in CPARS scoring and recommendations for proactive management, and highlighting changes to preferred contract vehicles for departments/components/offices. Transitioning out of Small Business Set-Aside Designation: Before a business graduates from a small business program, Evermay provides counsel on establishing certain foundations to enable a successful transition to the unrestricted arena: winning unrestricted contracts, focusing on gaining prime experience, ensuring subject matter expertise is in-house, winning the “right” contract vehicles for particular agencies, and designing appropriate messaging for the marketplace. Mergers and Acquisitions: When organizations are merged, we provide counsel on unified messaging, contract vehicles (duplication at times), conflicts of interest, component saturation, and more. Based on our experience with the agency and acquisition regulations, we can provide counsel for a more seamless transition.